President Donald Trump recently rescinded the old process for authorizing cyber operations, known as Presidential Policy Directive 20. 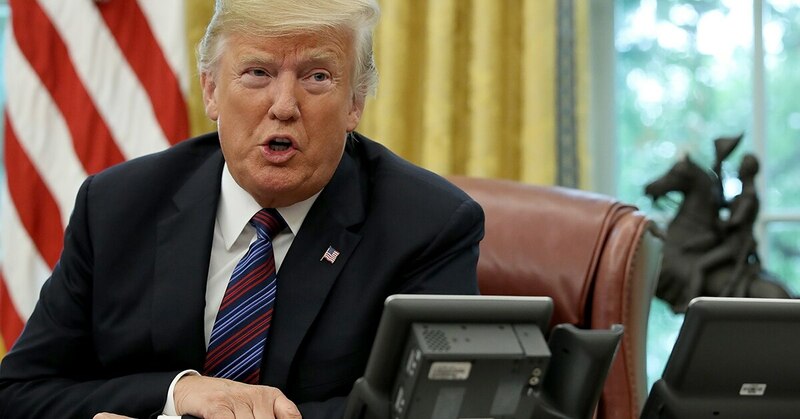 Under a new policy, known as National Security Presidential Memorandum (NSPM) 13, the president can delegate certain cyber authorities to the Secretary of Defense for particular missions. “Because the new guidance delegates, within parameters, to the Secretary of Defense, you still have to do interagency coordination but it’s not through a National Security Council-led process. Instead it’s a Department of Defense-led process,” Brig. Gen. Alexus Grynkewich, who serves as the Joint Staff focal point for cyber and electronic warfare operations, said during a panel discussion Sept. 17 at the annual Air, Space, Cyber conference in National Harbor. “[It] seems like a minor distinction but it makes all the difference in the world in terms of the speed at which you can move,” he said. The previous process was derided by critics because it was “an interagency process that went through the National Security Council … to deputies' committee to principals' committee and, in effect, anyone could stop the process along the way,” Grynkewich said. Others in the national security community have described the previous method as too slow and one that hamstrung commanders and missions. But on the operations front, it’s still too early to tell how the new process is working. “We are still walking through that … [it’s] still early,” Maj. Gen. Robert Skinner, commander of 24th Air Force/Air Forces Cyber, told Fifth Domain at the same conference. In his joint role, Skinner is the commander of Joint Force Headquarters-Cyber Air Force providing cyber effects to European Command, Strategic Command and Transportation Command. Grynkewich said that on the Joint Staff, as authorities are delegated to the Secretary of Defense within certain policy parameters, officials are studying how to further delegate authorities set aside for the Secretary of Defense to the head of U.S. Cyber Command. Adm. Michael Rogers, the former commander of Cyber Command, recently said he was an advocate for changing the previous policy for similar reasons.